…are a gift of flowering light from the garden. 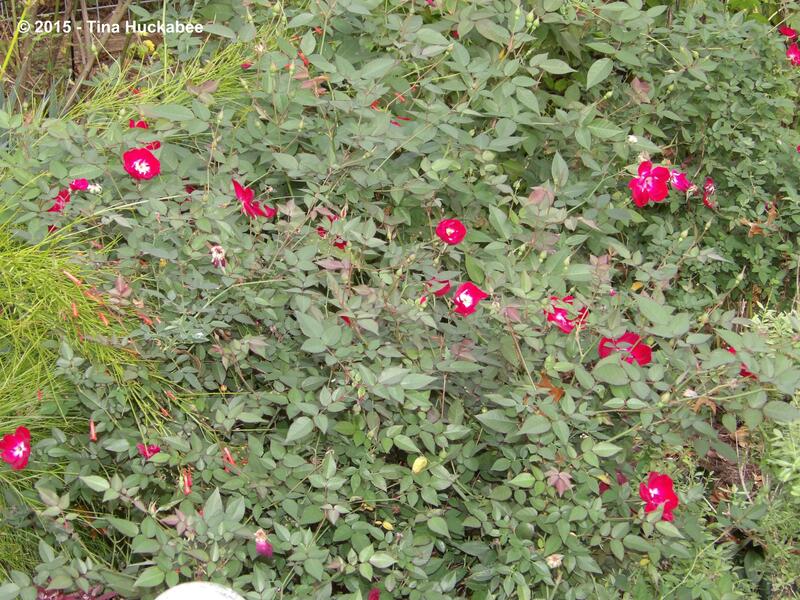 All of my roses withheld their blooming (rather selfishly I thought) during October and early November, which is typically a showy time for roses here in Central Texas, USDA gardening zone 8b. 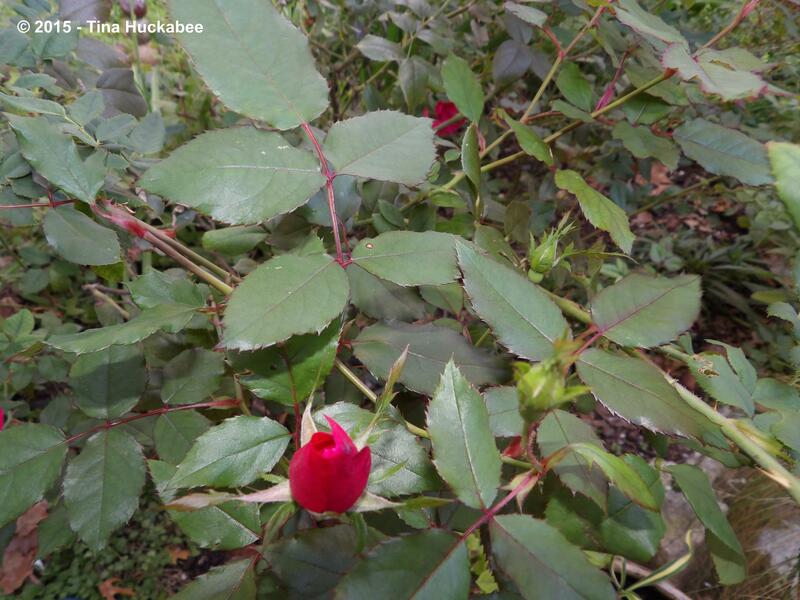 Along came Thanksgiving with some damp and chilly weather and the roses burst forth in glory, of both the bloom and foliage type. 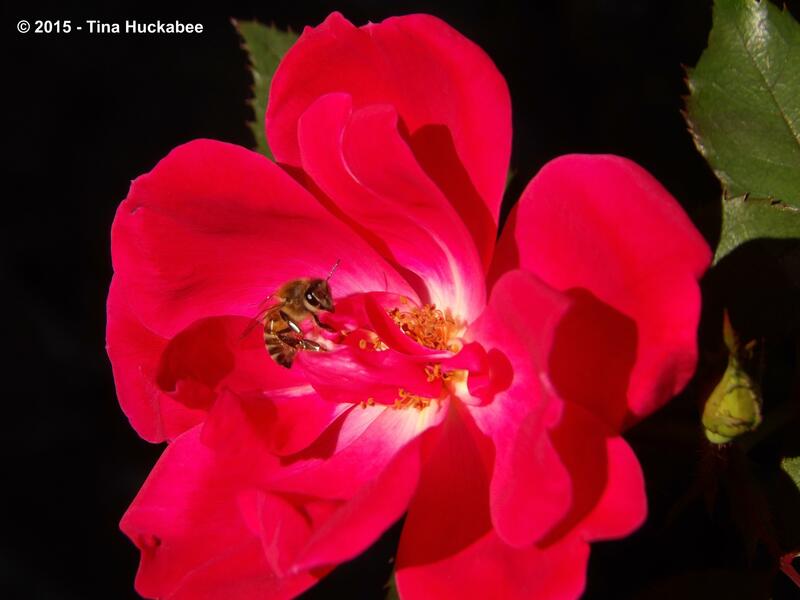 This Knockout Rose, (Rosa ‘Radrazz’) opened its petals and let not only the sunshine in, but busy bees as well. 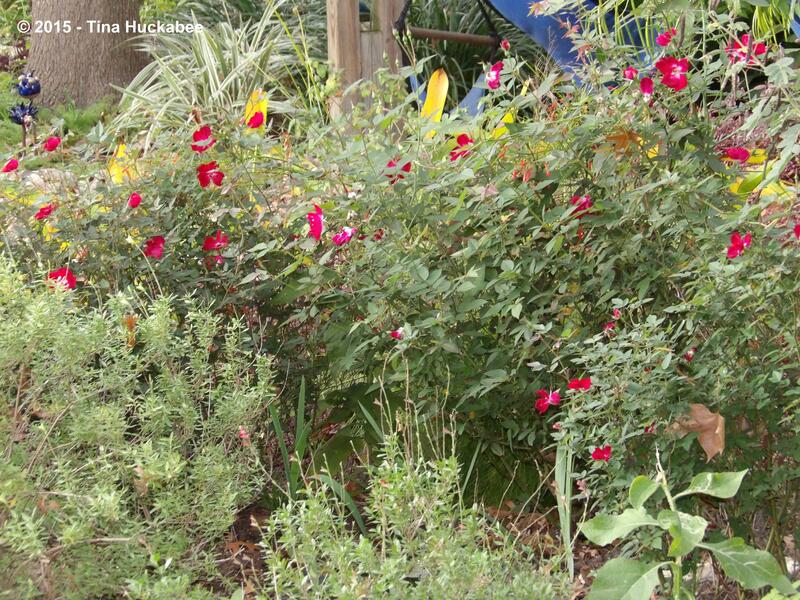 …augment the blooms and set the stage for cheer in the December Texas garden. A nod to fall foliage color change (it’s not winter yet! 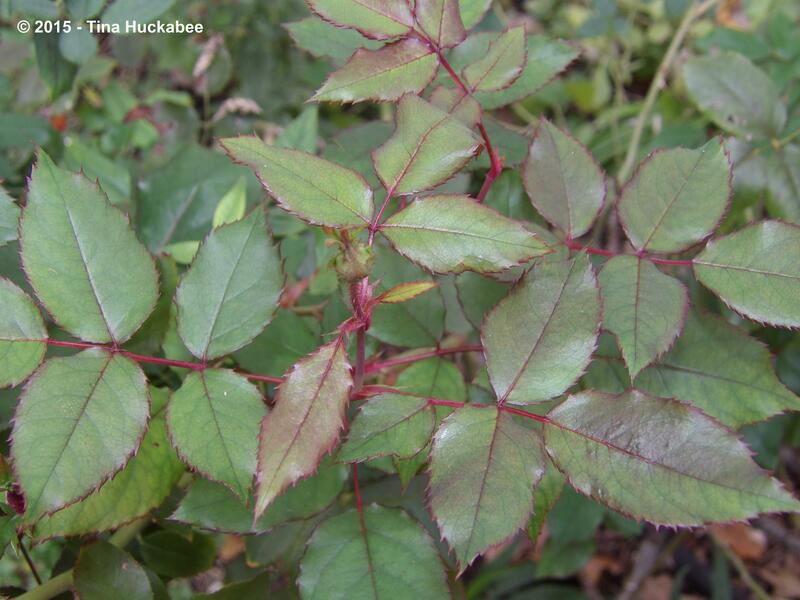 ), many rose shrubs present dual-colored foliage, especially when newly flushed-out. Competing with the Knockout, but strutting their own style of rosy gorgeousness, are my Martha Gonzales roses. …sport a similar color scheme as the Knockout foliage, with perhaps a smidge more bronzy blush. 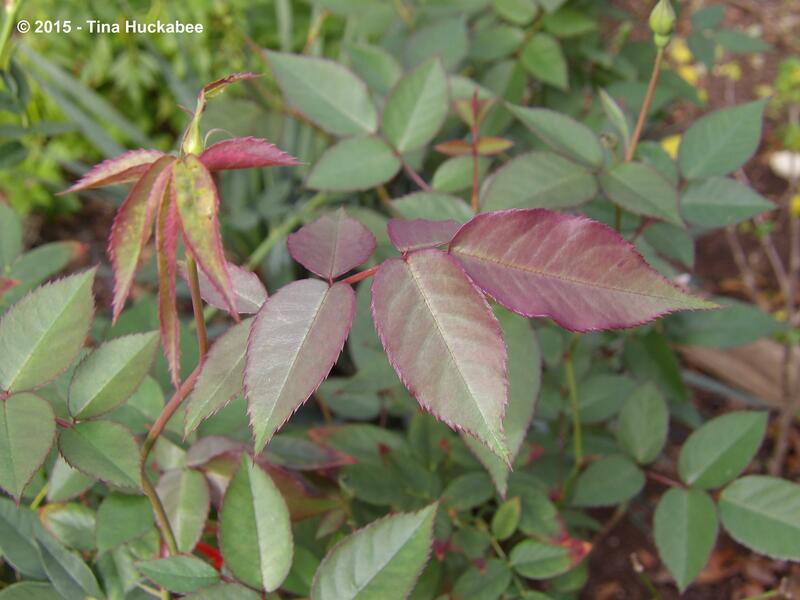 With their maroon-tinged leaves, the Martha Gonzales suggest a purple-haze in the garden, even as other plants fade with winter approaching. …these blooms are joy in flower form. …but new leaves blush with burgundy wine. Old Gay Hill China rose pairs elegantly with the Martha Gonzales roses all year round. Not to be outdone one bit by their flaming cousins, these pretty pink Jackson and Perkins, ‘Simplicity’ roses, are not slowing down, even if the gardening season is. Lush evergreen foliage with few blemishes, there is a touch-of-the-red to spice things up a bit. 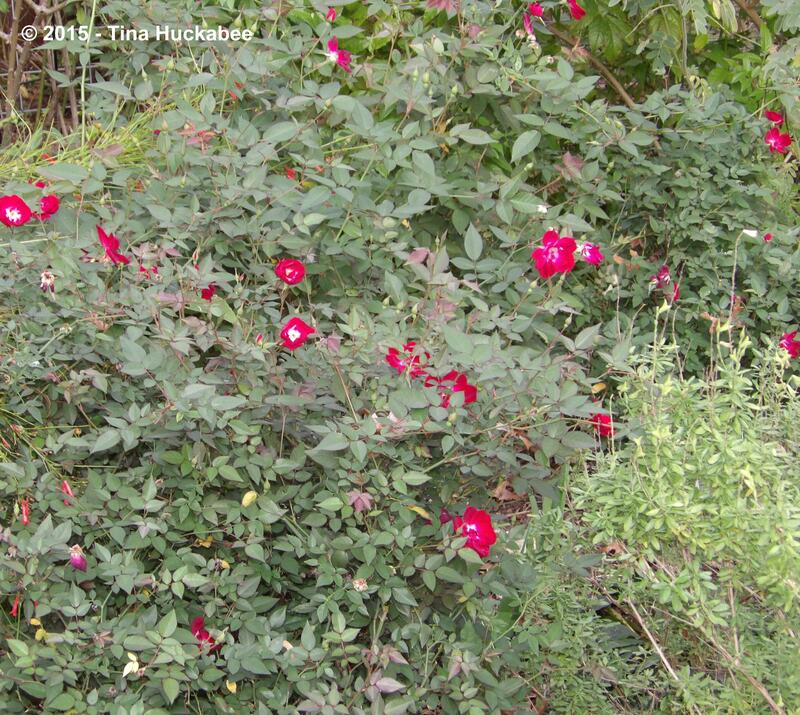 Nine ‘Simplicity’ rose shrubs were in my garden when I took up residence in 1985. Two original shrubs remain and I must say, they’re the most steadfast and hardy bloomers of any rose type I’ve ever grown. 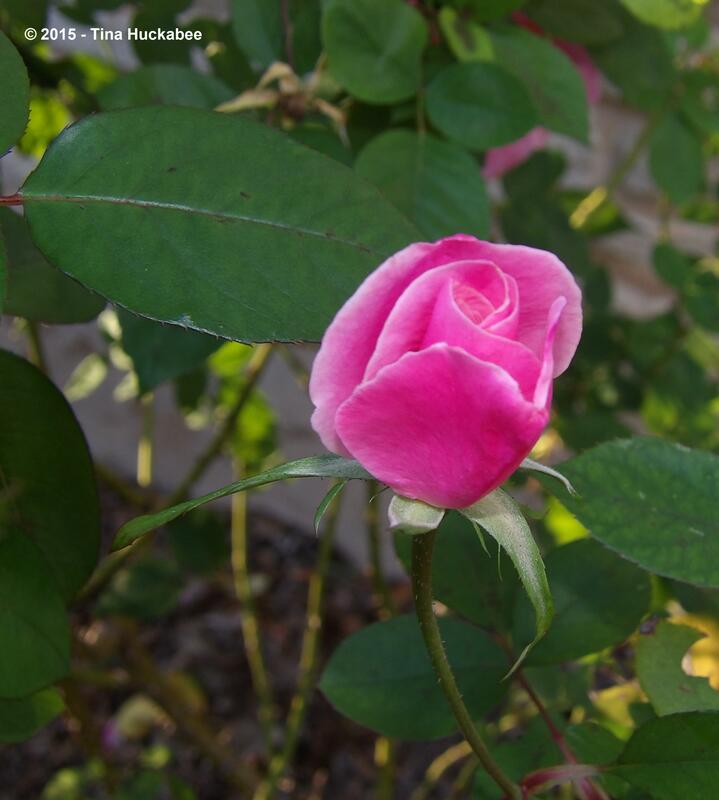 While roses tend to wimpiness during our dry, toasty summers and our come-n-go droughts, these ‘Simplicity’ bloom. Thanks to Carol at May Dreams Gardens for hosting her celebration of blooms for Garden Bloggers’ Bloom Day and also to Pam at Digging for profiling the beauty of foliage with Foliage Follow-up. Please visit each lovely blog to see blooms-n-foliage in gardens from many places. 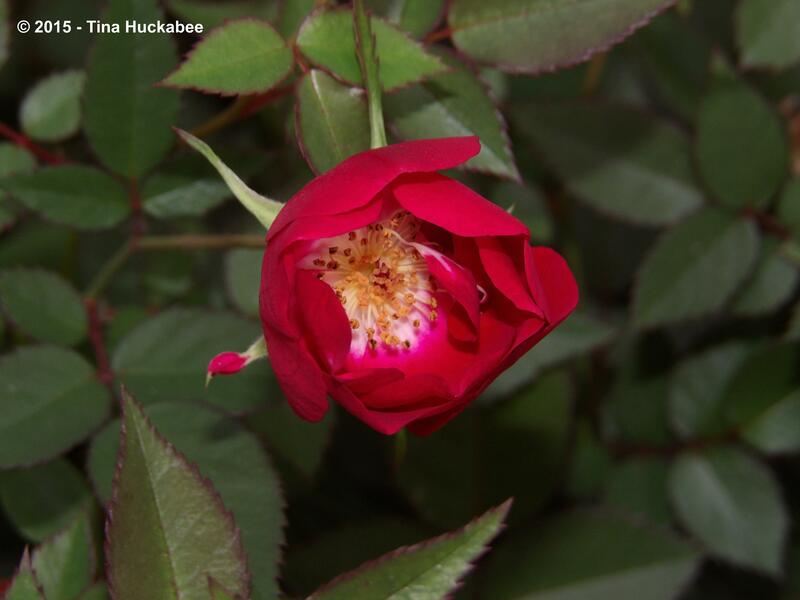 This entry was posted in Foliage Follow-up, Garden Bloggers' Bloom Day and tagged Knockout Rose, Martha Gonzales Rose, Old Gay Hill China Rose, Simplicity rose by Tina. Bookmark the permalink. I love that roses bloom in the winter here. Such a friendly pop of soft petals and great colors to join the leaves. You’ve got it all going on, growing beautiful roses on top of all your native gorgeousness. The roses you feature are so pretty. 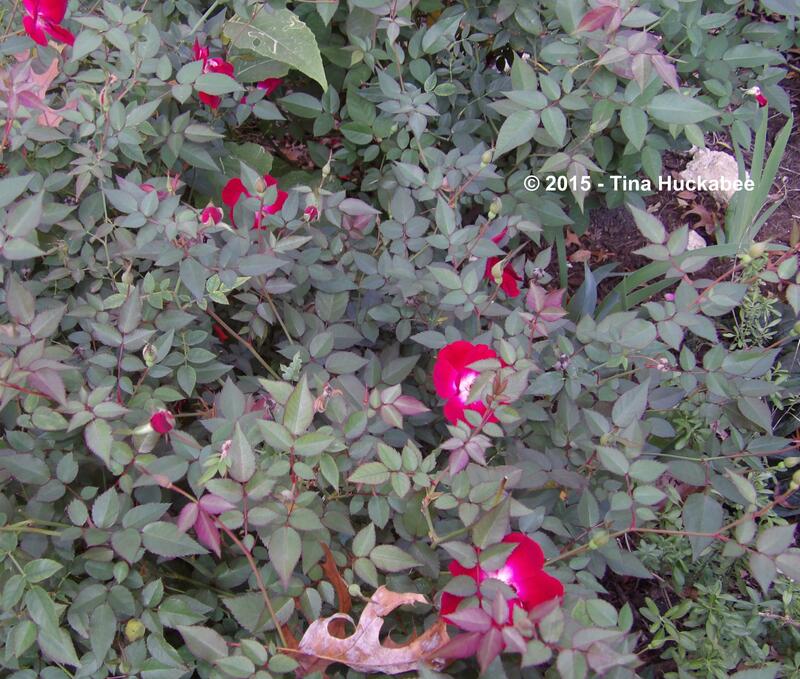 There is something especially serene about rose bushes in bloom, no matter the color story. I have one grocery store floral department “mini-rose”, a yellow, an impulse gift buy from The Hub. After its time indoors I stuck it out in a bed and forgot about it. Now it is 3-4 feet in height and diameter. It looks like it is gearing up for a new round of blossoms. Never rule out a rose! Though delicate in appearance they can be tough as nails. I love the surprise finds of the gardening world: all the reading, researching, and angsting into what works in a garden and then the modest little who-knows-what-this-plant-is and it’s a long time winner! 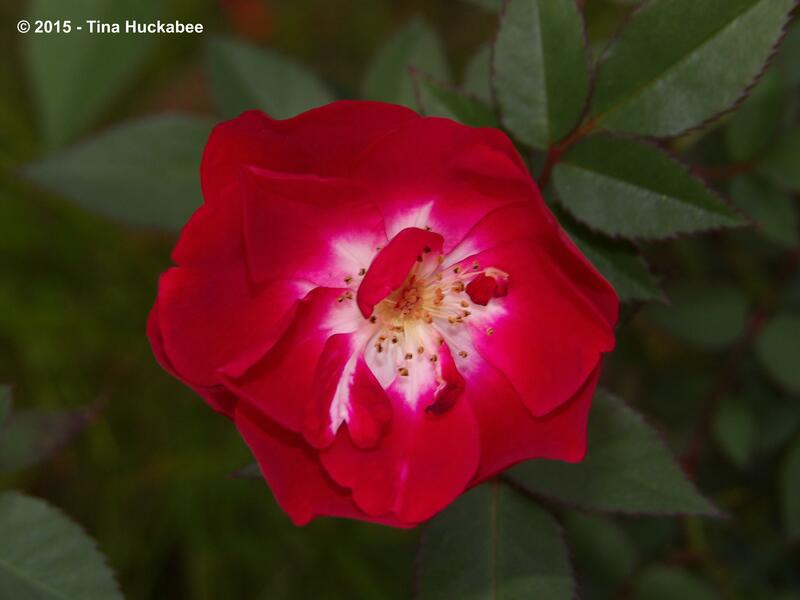 Roses can definitely be some of the most hardy plants, especially in our trying gardening conditions. Uplifting rosy post Tina on a grey drizzly UK December day. Your foliage looks so healthy too! Glad this brightened your day. If it’s any consolation, it’s gloomy here too, though I’m sure not quite so cold. 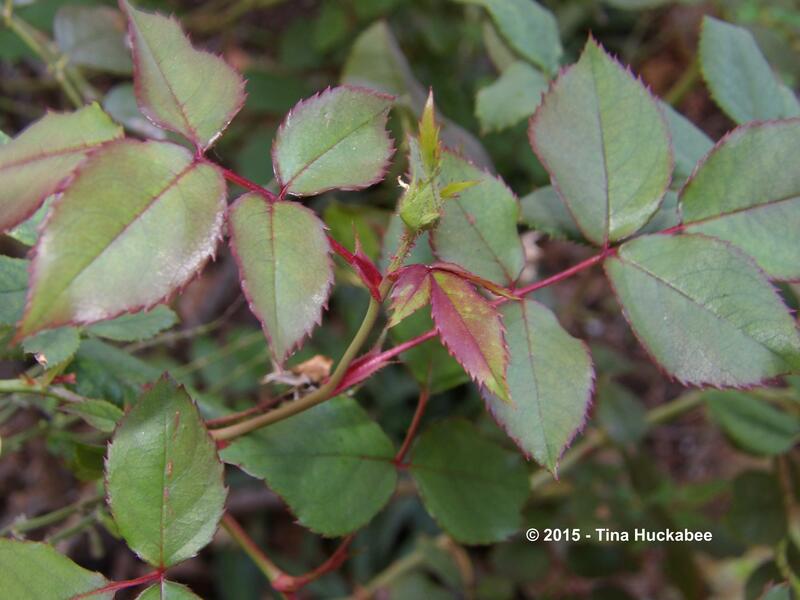 It’s not that unusual for our roses to be blooming this time of year, but if there’s a freeze, no blooms! What’s really painful is when they’re in full bloom at major pruning time (usually February for us). Oh, to prune or not…. I absolutely love roses and would have liked to have many more but space is a problem in my garden. Here in London where I live, my roses flowers too, until they are cut down in January and they are back in flower again in April usually. Loved ‘Simplicity’ – such a perfect rose. Hi Helene! I have the same problem too, as well as not having quite enough full sun spots. 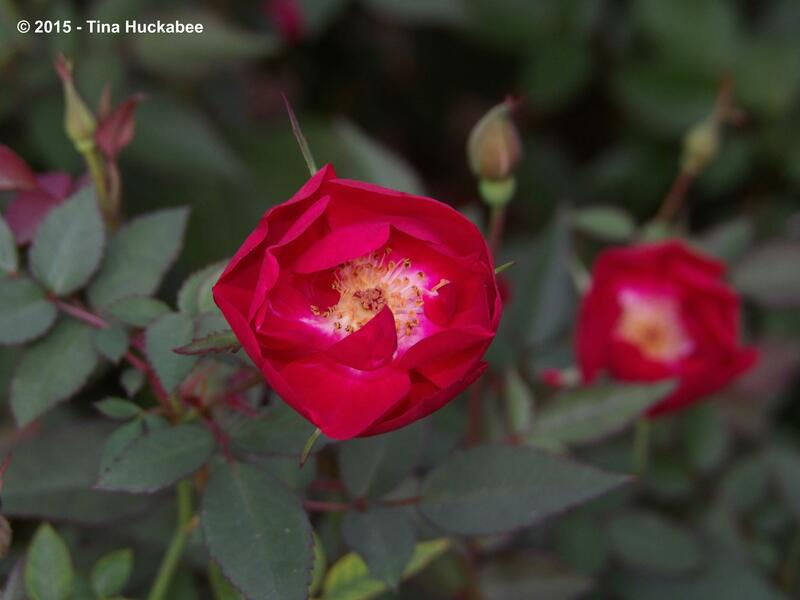 That said, here in Texas, we have to choose very tough roses to grow because of our long, hot summers and so that we don’t have to water them too much. It’s great and surprising that you have such a long growing season with your roses–April until pruning time–that’s quite a stretch. I agree with you: ‘Simplicity’ is just about the perfect rose. 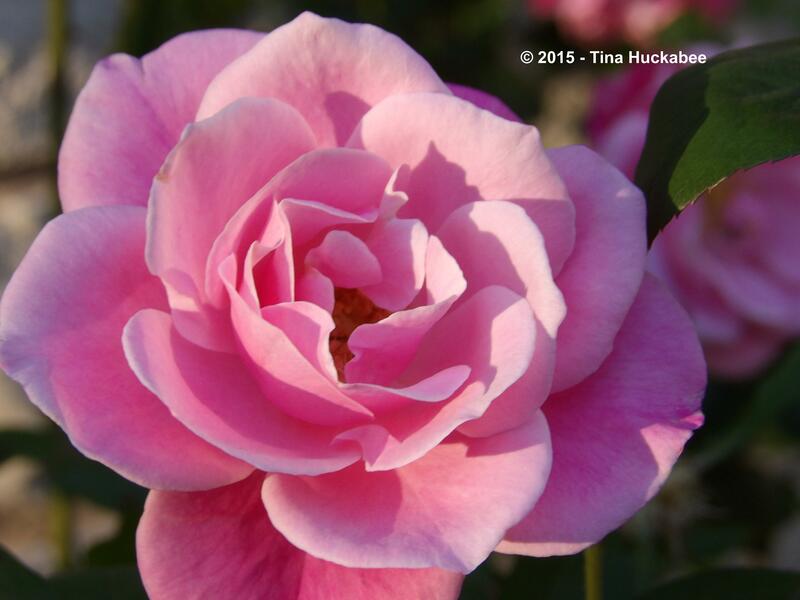 It also has a lovely fragrance, so I guess that clinches the title of “Perfect Rose”! Beautiful roses, Simplicity is my favourite today. Isn’t Simplicity divine? Unfortunately, I don’t think it’s grown/sold anymore. I should really take some cuttings and grow some, just in case these last two decide they’ve lived long enough. Wow! Such a treat all these roses flowering! Gorgeous all of them, and very healthy looking too. I like the fine foliage of Martha Gonzales. Thanks! 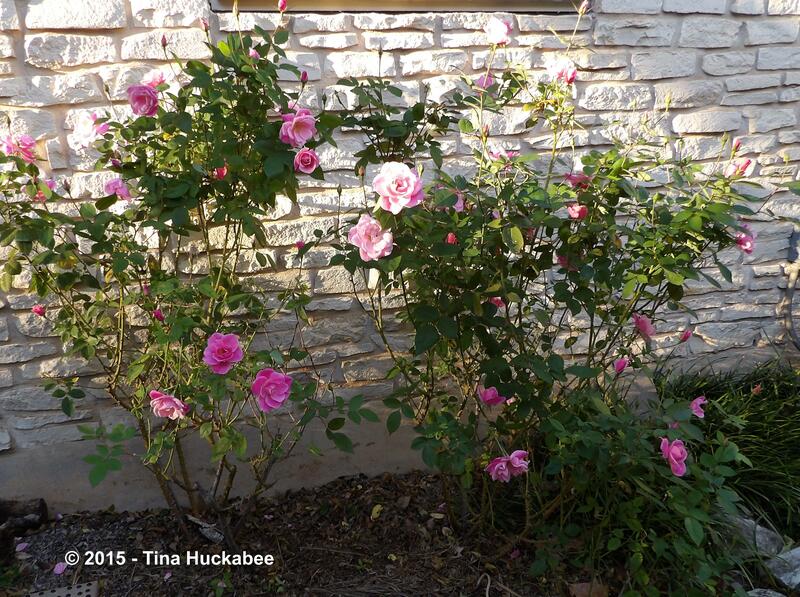 They’re all hardy and easy care roses–I wouldn’t have anything else. I agree with you about the Martha’s foliage–it’s really attractive. 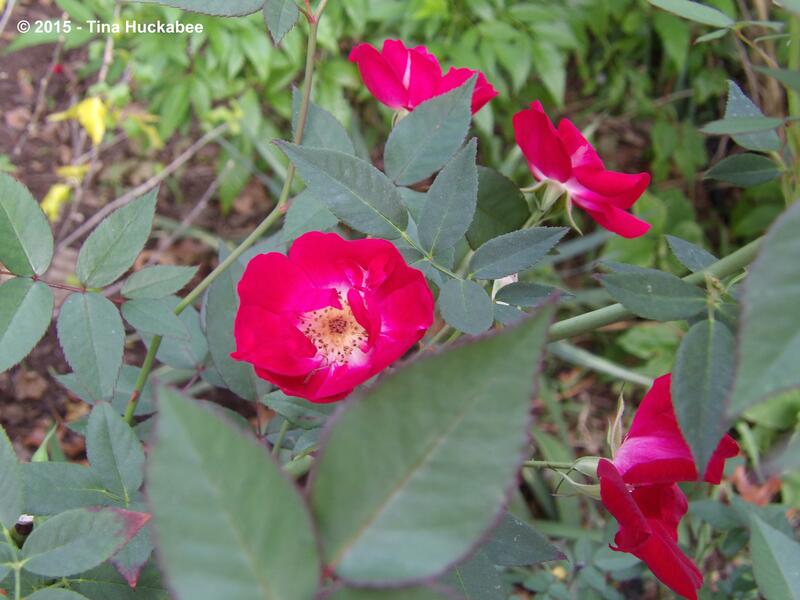 Here in Texas, the solution seems to be hardy cultivars (like the Knockout series) and antique roses, found on abandoned farms in the ’80’s, but planted as far back as the 1800’s. 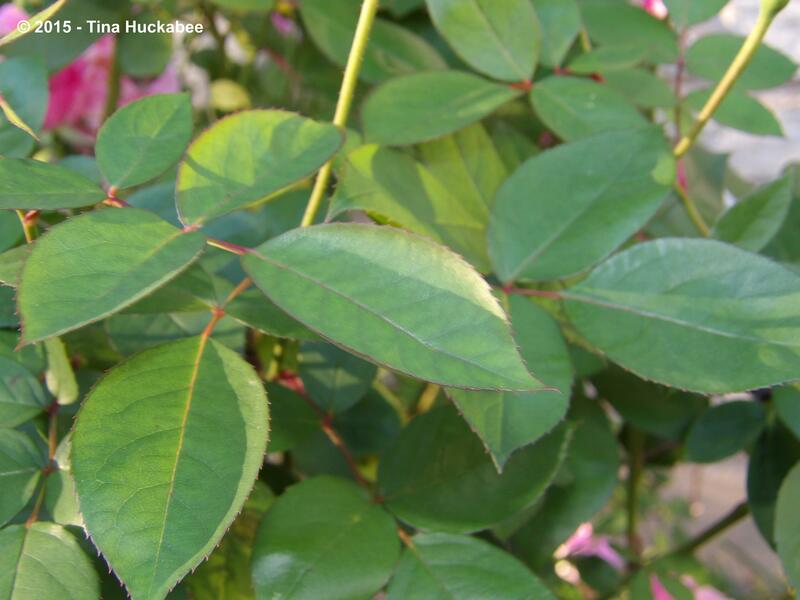 There were “rose rustlers” who took cuttings and the horticultural folks got involved to breed and sell. I wouldn’t dare plant anything that didn’t have that stamp of approval–our climate is just so tough for so much of the year. 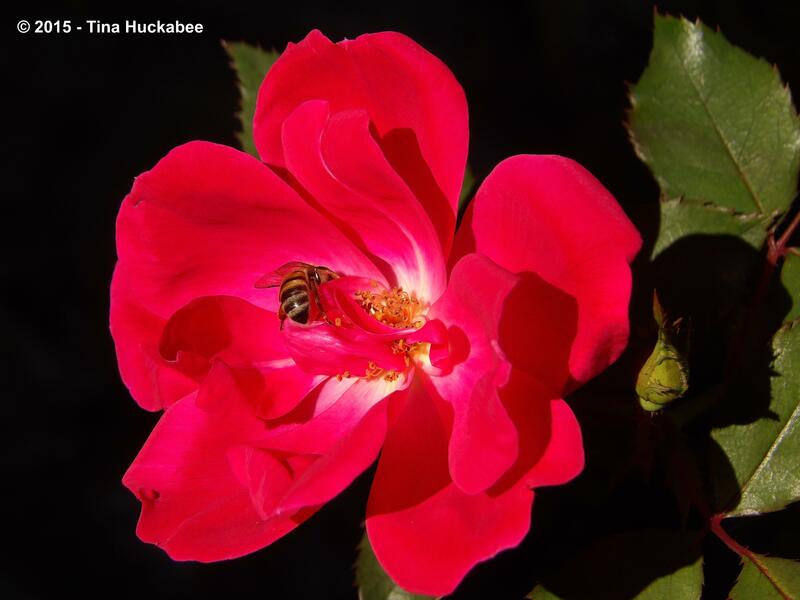 Still, we have some great choices (like the Martha Gonzales–so named for the woman whose garden the rose was found in) that are drought tolerant and don’t require sprays, etc. Truthfully, I’m not that much of a rose gardener; I like them just fine, but they’re not the be all, end all in my garden. 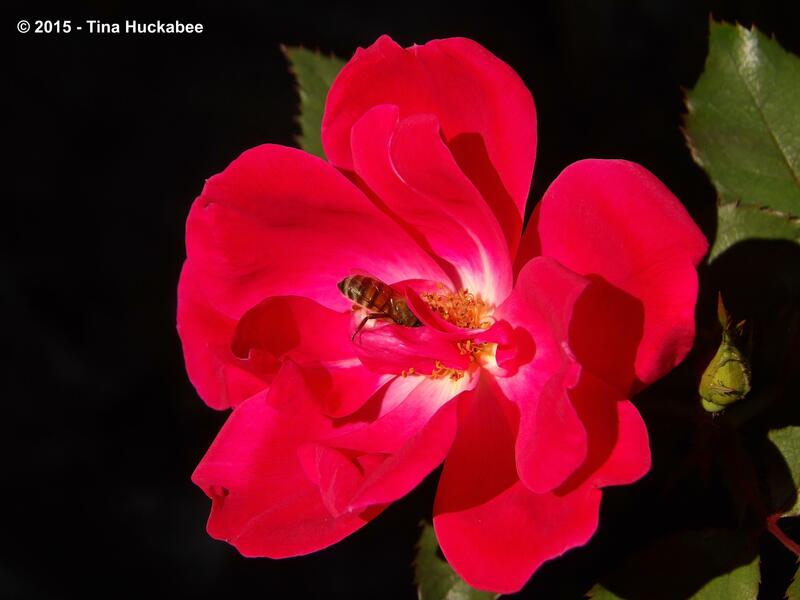 But, you have a point: what’s a garden without roses! Love the roses, especially the RadRazz! Isn’t is a pretty one?? Good holiday cheer to you as well! I think you’re absolutely right–there’s nothing more welcome than roses. I’m just going to have to echo Dee. Roses in December are an absolute delight. I do like that Simplicity rose. She looks especially nice set against the limestone wall. 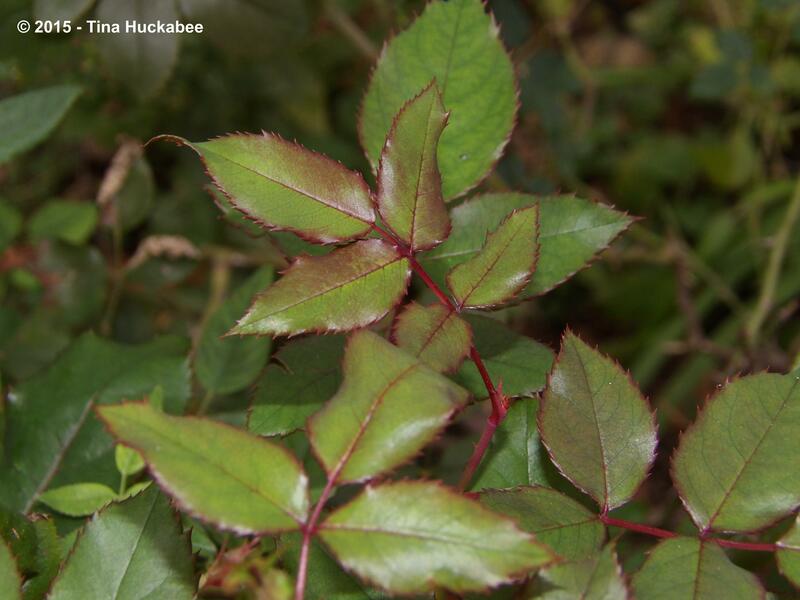 Roses aren’t generally grown for their foliage, but up close the leaves of some are pretty, aren’t they? I like the ones with a tinge of reddish color. Now is definitely a good time for roses all over Austin. My mom has been exclaiming over hers. 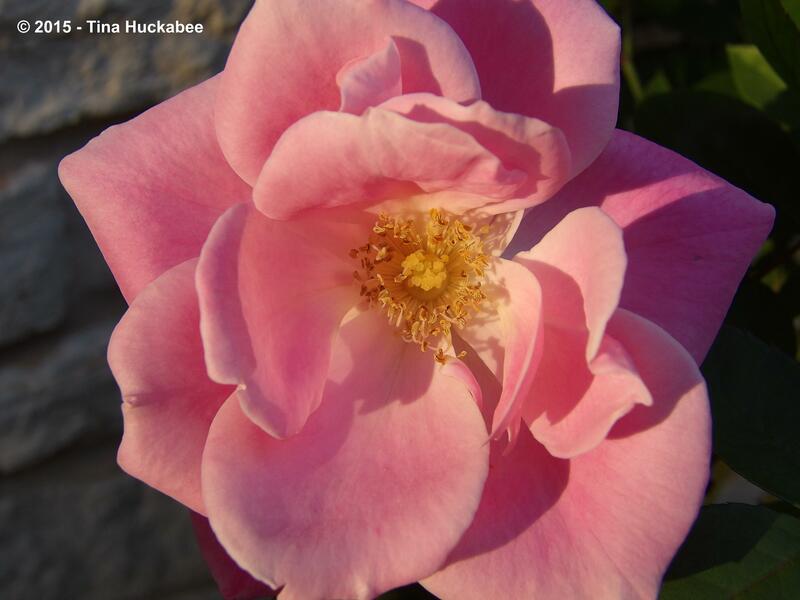 I’d agree that most gardeners don’t grow roses for their leaves–why would we, when those flowers are so gorgeous? 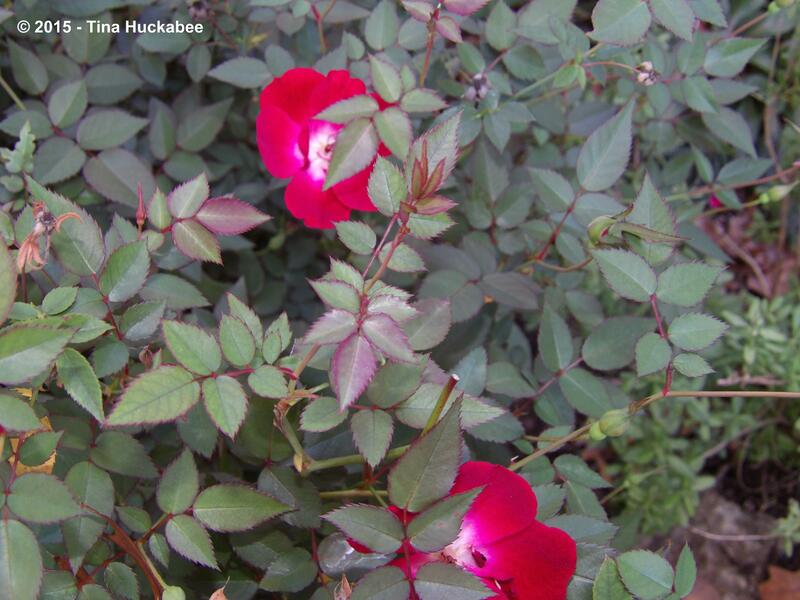 But certain rose types have very pretty, colorful foliage. I think lots of folks are enjoying the rose show right now. How I would love to have roses blooming now. I like both ‘Simplicity’ and ‘Old Gay Hill Red China’ – which is also an excellent name. 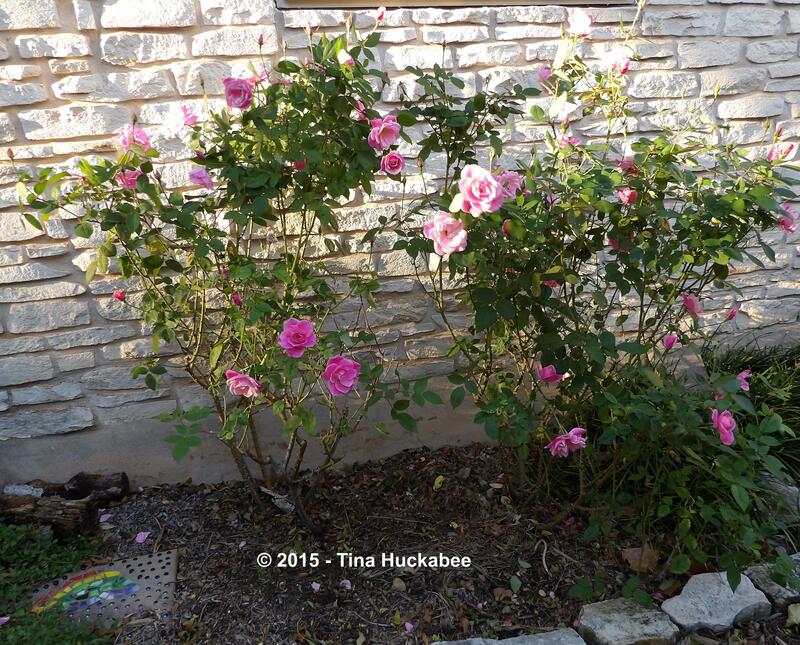 Such beautiful light shining in these roses…here we are getting warm and cool weather and still a few blooms persist. Wow! I’m surprised that you have blooms–sort of wonderful and disconcerting at the same time. While I know you get tired of the snow and cold, I hope you get some soon! Happy New Year! I hope you haven’t been affected by all the recent crazy weather in Texas. Amazing to have so much blooming in December! Happy New Year to you as well! It’s been pretty calm here–most of the awful action having taken place in the Dallas area, about 3 hours north of Austin. I did get some hail, but only a little splat and pea sized at that. Still, weird for this time of year. 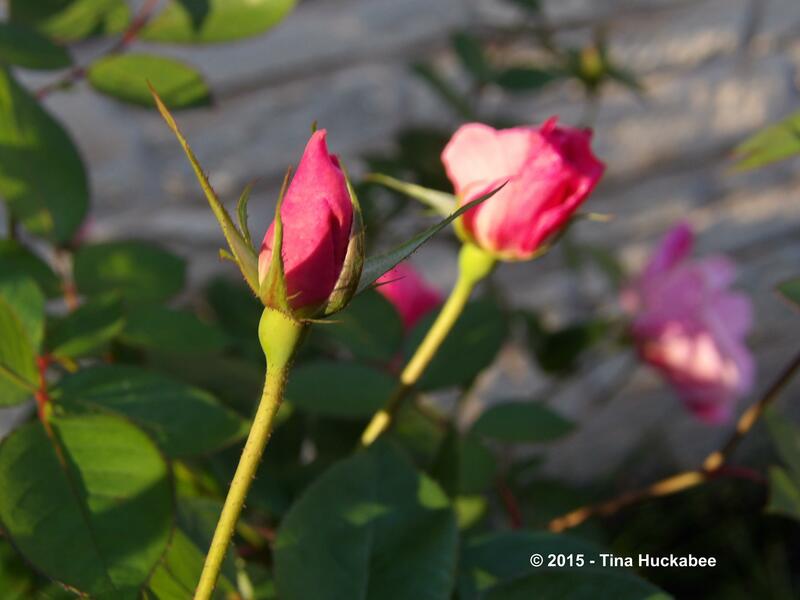 The roses are still in bloom….